Atlanta Dynamo Water Polo: Andy Neff -- Coach of the Month!!! Andy Neff -- Coach of the Month!!! If you're reading this, you likely already know what an amazing all-around guy Andy is, so this should not be a shocker... at all. 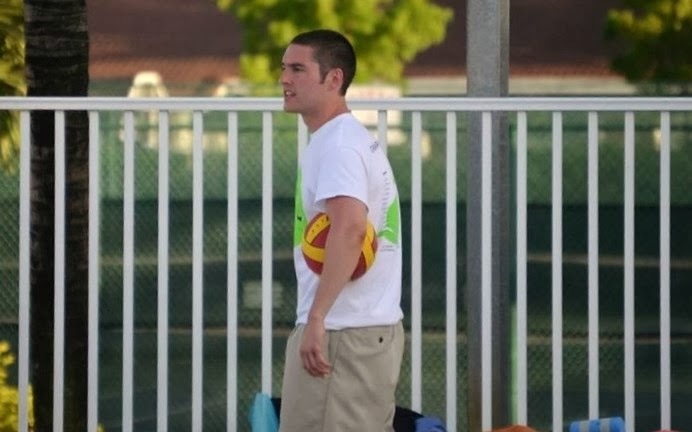 In addition to being a core member of the Atlanta Dynamo team, Andy donates an enormous amount of his time and energy to coaching Water Polo at Lakeside High School (4 teams!) and the Atlanta Girls Junior Olympic team. So, thanks goes to Andy! His contribution to Southeast Water Polo is very much felt!!! Andy coaching Atlanta girls in the 2013 Junior Olympic qualifying round.